The Department of Agronomy and Horticulture Design and Communications team provides design, print, web, and advertising and marketing services, according to the University of Nebraska–Lincoln Brand standards, needed to promote the department within CASNR, IANR and the university. Writing/editing copy for news releases (for department website, university and external audiences), social media content, website content and print publications following the university editorial guidelines, university Style Guide and Associated Press Stylebook. We will do our best to contact you about your project in a timely manner. All areas of work will be divided between Lana and Fran based on their work schedule. All work will be prioritized on a first-come, first-served basis and deadlines taken into account. Can be DOWNLOADED from the Toolbox – Resources webpage. Fran graduated from the University of Nebraska–Lincoln with a Bachelor of Journalism in advertising with minors in art, english and marketing. 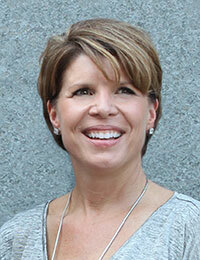 She has 25 years of experience in graphic design and layout, art direction, creative development and advertising. Prior to the university, she was an art director and graphic designer at a local advertising agency for 11 years. She has spent the last five years as the department multimedia design and communications specialist creating for print and web, managing the department website, shooting photography and video, writing and editing news stories and print publications, producing videos and utilizing social media for recruitment and communicating news and events. She is also the managing editor and designer of the department annual newsletter/magazine. Fran is a member of ACES: The Society For Editing. She is currently studying for a Public Relations and Social Media Graduate Certificate and working toward a Master of Arts in Integrated Media Communications from the College of Journalism and Mass Communications at Nebraska. Stop by Fran’s office anytime to discuss a project or to talk about running, landscaping ideas or cats. Lana graduated from Midland University with a bachelor’s in Biology and Natural Science and earned a master’s in Museum Studies with minors in Fisheries and Scientific Illustration at the University of Nebraska–Lincoln. She also studied scientific illustration at the University of Arizona. 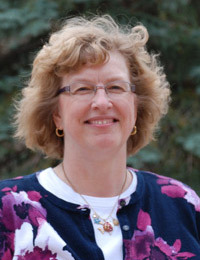 She has worked at Nebraska for over 25 years as an illustrator, multimedia and graphic designer, technology trainer, instructor, web designer and project manager. In addition, she has taught two graduate courses for Entomology, Presentation Methods and Scientific Illustration, for over 19 years. Previous to Nebraska, Lana worked as a biology instructor, lab technician, technical illustrator and as a freelance scientific illustrator creating artwork for local and national clients. She is a professional member of the Guild of Natural Science Illustrators and currently serves as president of the GNSI Great Plains Chapter. She has presented and taught many seminars and classes at GNSI, Association for Communication Excellence and North Central Branch of Entomology Society of America conferences. Her artwork has been exhibited in juried shows across the country. Lana strongly promotes healthy living by always having chocolate on her desk for visitors to enjoy.